PARIS, March 27, 2012 (IBIB) ?The right to religious freedom is formally guaranteed in the Constitution of Vietnam. Yet in reality, the authorities implement a host of repressive measures to restrict and paralyze religious activities. 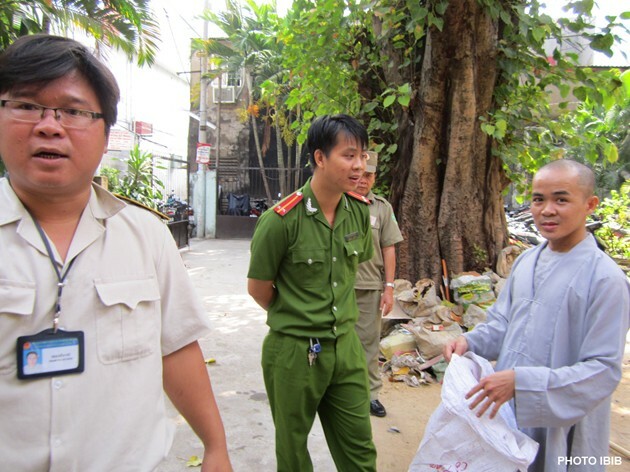 Alongside the detention and house arrest of Buddhist leaders and intimidation of its followers, the banned Unified Buddhist Church of Vietnam (UBCV) is facing administrative harassments in every aspect of monastic and religious life. The International Buddhist Information Bureau has received an urgent appeal from the UBCV?s Executive Institute at the Giac Hoa Pagoda, at 15/7 No Trang Long Street in District 7, Binh Thanh Ward, Saigon. After approving renovation work at the Monastery on 1st March and carrying out regular inspections over the past three weeks, the 7th District People?s Committee has suddenly issued a Decision ordering the work to be torn down. If the monks do not comply within a delay of three days, the People?s Committee will cut off the electricity and water to the Pagoda and bring workers in to tear down the work. The Pagoda will also be fined 12 million VN Dongs (approx. US$575). Giac Hoa Pagoda?s Superior monk Venerable Thich Vien Dinh, who is also Head of the UBCV Executive Institute Vi?n H?a ? ?o, the No. 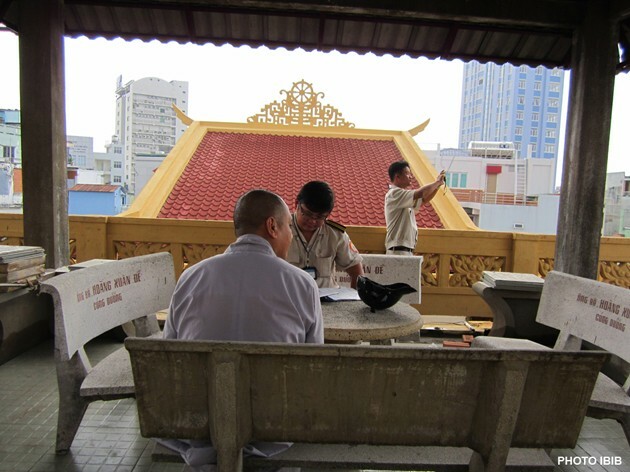 2 UBCV official under the Patriarch Thich Quang Do, says that on 1st March officials from the local land department told him that the renovation work on the Pagoda did not require planning permission. The work consists of erecting a sheet iron roof over a courtyard on the upper floor provide shade, and laying bricks on the courtyard?s floor to prevent rain seeping through to the floor below. The officials said the monks had simply to fill in a questionnaire describing the nature of the construction and submit it to the local Land Department. The officials fetched the questionnaire and helped the monks to fill it in. They submitted it the very same day. The next morning, 23 March, inspectors from the building department returned to Giac Hoa Pagoda, accompanied by Security Police. They drew up another report, accused the monks of ?violating construction regulations? and summoned them for a ?working session? at the People?s Committee that afternoon. After this working session, the Chairman of the 7th District people?s Committee Ho Ky Lan issued Decision 53/QD-UBND, 24.03.2012 ordering the works to be torn down within three days, otherwise the electricity and water will be cut off and the work will be forcibly torn down. The deadline is today. In his statement to the International Buddhist Information Bureau, Thich Vien Dinh declared: ?The government officials say one thing today and exactly the opposite tomorrow. They have the power, so they can say what they like. We live in a dictatorship, so we are used to this arbitrary treatment. There is no rule of law in Vietnam. ?